I am ParkCloud’s Ancillary Revenue Manager, and I work with partners to increase our sales through ancillary products. The exciting thing about my role is that I’m carving out a new service offering at ParkCloud and therefore it’s a work in progress! (I think I need an A board with that written on!). I’m sure that means I’m also going to have to hit some curve balls along the way, however I’m really excited to make this work! I started off always wanting to be an air hostess - I’m qualified too! I got my NCFE in Cabin Crew in college and was working at the same time. I soon found myself in the Energy industry and worked my way to top of the senior management team. As much as I’d love to travel, I liked the pace of a more challenging role, and let’s not forget the salary too! Now I’m here and out of energy and back into travel (maybe it was meant to be!). I’m only young so I’d say that I’ve just stepped onto the path - let’s see where it leads to! I couldn’t even count, and I’m not saying that because I’ve been to lots of places - I would consider myself a bit of a novice in travelling actually. City wise, I’d really like to visit Prague; it’s somewhere I have always wanted to travel to but it’s just never happened. I am planning my wedding for 2019, so quite some time away yet, but we would really like to visit the Maldives for a honeymoon, so hopefully that stays on the list! Rome. It’s such an incredible, romantic city and I’ve had such amazing trips there. In my own time it has to be Facebook; for business, LinkedIn is fab. I honestly don’t know! I love a good film but I’m truly rubbish at remembering celebrity names and I’d hope that no one would make a film about my life! Re-wind; simply for the dresses. I would love to go back and dress like they did in the Victorian times - not practical now but they were so lovely. I don’t think I’d last a day living how they did though, I like my luxuries too much so I wouldn’t stay too long! I’m glued to my phone, but I think everyone is these days, so I’ll say my Aussie shampoo. I love the stuff and I couldn’t bear to think of a life without shampoo and clean hair. We definitely take that stuff for granted. Tea! My favourite is Chai Latte (yes it is a tea!). I even have my own on my desk! 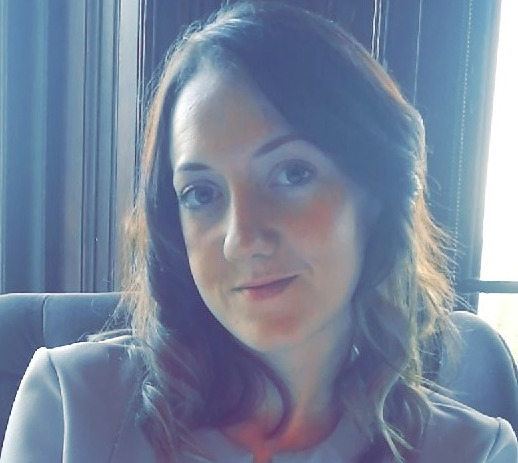 If you’d like to chat to Elysia further about ancillary revenue services – or tips on flat packing – you can contact her at elysia.fryer@parkvia.com.